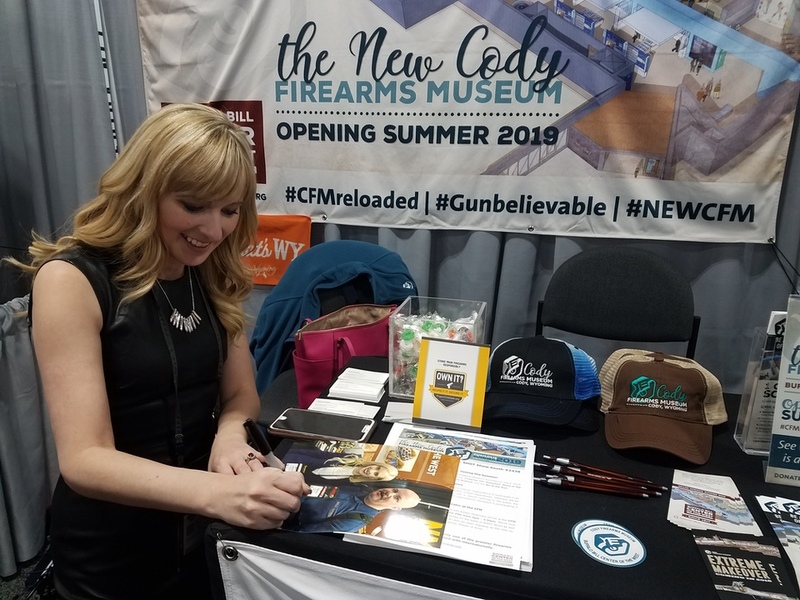 As curator of the Cody Firearms Museum, in Cody, Wyoming, Ashley Hlebinsky’s latest and most important duty is managing a massive renovation project at the museum, with a deadline of July 6, 2019. Along with the obligation of running a major firearms museum, Ashley co-hosted “Master of Arms” last year on the Discovery Channel, a show that tasked craftsmen with building 2 historical weapons. She also has a video series for Recoil magazine; is a producer and expert on “Gun Stories,” with Joe Mantegna; museum consultant; expert witness and certified firearms instructor. Ashley is one of our top search terms here at The WON, and we believe it is because of her stellar reputation for being an expert who can communicate. We are delighted that she agreed to talk to us about the ongoing renovations, and we look forward to being onsite this summer when she invites the public in to see the changes. The WON: How many years have you been at the Cody Firearms Museum? Ashley Hlebinsky: I’ve been involved with the museum in one way, shape or form for 8 years. … I came out here (Cody, WY) in the summer of 2012. I was a research fellow, and I stayed on for another month or two as an intern. As a research fellow, and while I was getting my Master’s degree and working at the Smithsonian, I was here summer and winter until 2013, when I started working here full time. I was hired as the Robert W. Woodruff curator in 2015. The WON: Has the museum undergone a renovation before now? Ashley Hlebinsky: The firearms museum was dedicated on July 4, 1976, but it was called the Winchester Firearms Museum. It was a loan from Winchester-Olin Corporation. We also had loans from other companies, and that collection continued to grow. In 1988, Winchester gave us the collection. We realized that we needed new real estate. We also had a board member, William B. Ruger, who didn’t like that the museum was called Winchester, so he gave a million dollars to the museum to change the name. 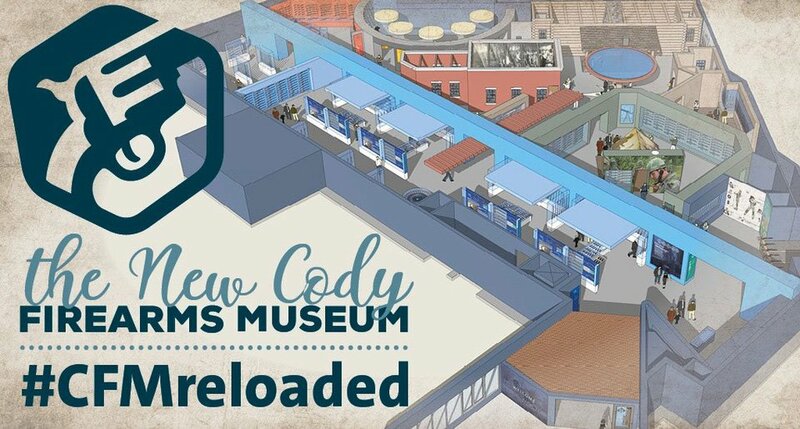 We opened the Cody Firearms Museum in its current location in 1991 and there have been no renovations since then. The WON: Why is this major renovation happening? We get about 200,000 people through the door each year, between May and September. About half of our audience know nothing about firearms; they pay their admission to see the other museums in the complex, such as the art museum. … The bigger picture of why firearms are important to history was lost on people who don’t know the terminology and might have felt overwhelmed. We took on the very difficult task of creating a museum that is both exciting for the enthusiast and the collector, and also, the novice. You couldn’t get more extreme populations of people and we tried to find a happy medium between the two. The WON: Is it coming together? Ashley Hlebinsky: I think so. I’m in the process of writing my 10,000th label! Every part of the museum holds something for both of those audiences. The main level is a contextual history. The front of the museum is hands-on; it teaches you about firearms safety, tips at the range, so if you don’t know anything about guns, you can learn about what’s a rifle, what’s a pistol, what’s a carbine. If you’re a gun person, you can look at the casework of cutaway guns. Our Area 2 is the “Evolution of the Firearm”; it’s the most comprehensive in terms of information and artifacts, especially if you want to know the major things that happened in gun technology while looking at the artifact and how it changed through videos. If you don’t know what a matchlock looks like when it fires, you can see it fired in a video. We go through the timeline in themes; our first set is titled “Individual Artistry and Mass Manufacturers,” which is the individual gun making and artistry, to the need for these guns in armories to assembly line manufacturing. The WON: Do you have a staff to help you with the descriptions and other work at the renovation? 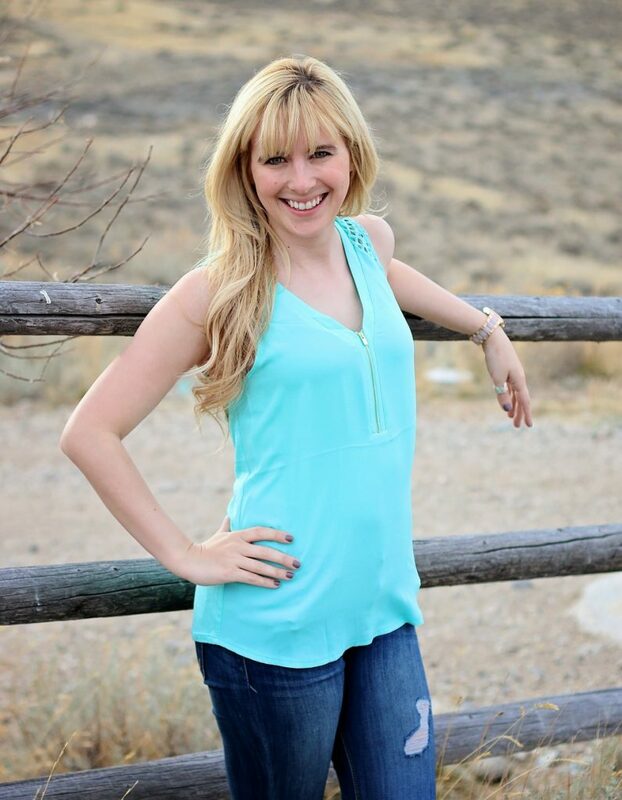 Ashley Hlebinsky: I have an amazing staff of 2, who have been actively involved as well as the Center support staff. From the beginning of the process, I’ve worked with education people, and my staff has done editing and writing. At any time, we might have a group of 12 to 15 content and firearms experts that we go to for review. We also have a select group of people that don’t know anything about firearms, public educators and academics, including a few people who are not fans of firearms. We tried to understand all types of visitors that will be coming to the museum. The museum strives to be apolitical and is focused on history and education. The WON: What did you learn from the people who aren’t fans of firearms? Ashley Hlebinsky: We learned that the ways we phrased things that we thought we colloquial and that people got it, and they’d say, “We don’t even know what this is.” It altered the way we worded descriptions so it made sense to them. It was very helpful. The WON: You’ll be introducing a new gallery about competition shooting? Ashley Hlebinsky: The back part of the introductory gallery dedicated to the modern shooting sports. We did that for a couple of reasons; I do a lot of interviews with mainstream media outlets, and I’ll say, “My husband is a professional shooter (Mark Hamish),” and the response is, “What does that mean?” When I got involved in the firearms community, I had no idea how many competitions there are and how popular they are around the world. Regardless of the gun culture of a specific country, the shooting sports are popular and it’s a language that all countries speak. That gallery has tips on the range – such as proper stance, how to determine eye dominance, etc. – but the other part is a showcase of 20th century competition shooters, modern athletes. The WON: Are there any other developments to the museum? Ashley Hlebinsky: We’ll have a mini-science center, with hands-on experiences. If you’re not as interested in the historical context of firearms and you’re more of a traditionalist that wants to see guns by manufacturers, we’ve devoted the entire lower level to that experience. The WON: We heard you’ll be including a special section for veterans to contribute, as well? Ashley Hlebinsky: Yes! You are referring to the CFM Veteran VIP Experience. 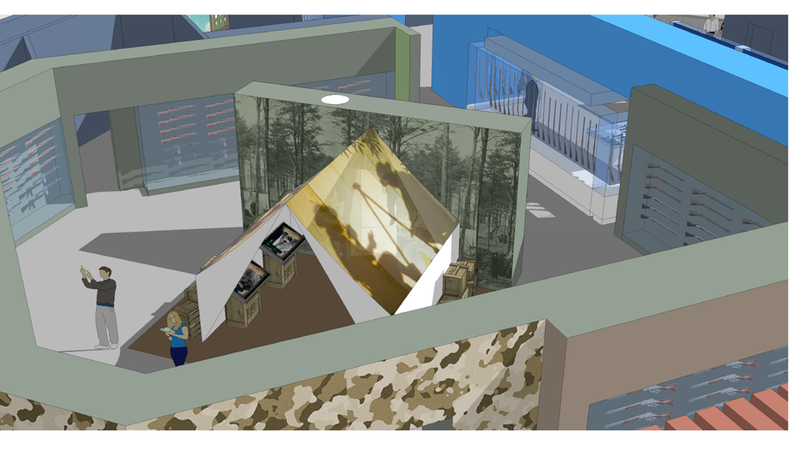 One part of the new museum is our Military History gallery. … We want to talk about changing technologies affected a soldier’s experience on the battlefield. We have a comprehensive video, “The Cost of War,” which looks at all the costs – from the human, to the financial, to the aftereffects of war. Our team has done an amazing job. One of things that we have is Audie Murphy’s revolver. He was one of the first veterans to advocate for the military studying Post Traumatic Stress (PTS) in soldiers returning from war, so we wanted to feature his firearm. The other part of it is “the tent.” You can read pre-populated historic stories, but we get a lot of veterans through the door, and they will be able to leave their stories. We thought it would be great to honor our veterans to get a sneak peek at the museum, and also, have them become part of the museum for opening day. We’re going to bring in veterans and they can explore the exhibits first while they’re waiting to contribute their own stories. When we open the next day, I’ll hit “approve,” and their contributions will then be forever available the general public. We will acknowledge the veterans during our opening remarks. The WON: Is there anything else that you want us to know? Ashley Hlebinsky: The Grand Opening will be held Sat., July 6, and we have opening events at 3 p.m. It’s open to anybody who wants to come. It’s the 75th anniversary of D-Day, and there’s a C-47 that flew during WW2 and on its way back, it will be there for the Grand Opening, and Dana Bowman will jump out of it with a banner and christen the museum. At 4 p.m., the doors open and the public will be invited – for free. Then, on July 15 and 16, we’ll host our Third Annual Symposia Series. We work with institutions around the world – museums and universities – and we will be talking about the digital world, including the conversation about social media and how they have regulations about what you can pay to promote, and all these history museums who have cool firearms and can’t promote that … we usually have representatives from the Metropolitan Museum of Art (NY), Smithsonian Institution, Autry Museum of the West, Dutch National Military Museum and the Art Institute of Chicago. We’ll also look at how academic communities can put different types of materials into their programming so that people can study it. I always say, you can go to school to be an art historian, but you can’t go to school in the United States to be a firearms historian. We’re encouraging more academics to get involved in this type of coursework. The Cody Firearms Museum is part of the Buffalo Bill Center of the West, which includes 5 separate museums.